Chantix is a very potent anti-smoking drug. Everybody knows that smoking is very dangerous to women who are in their pregnancy stage. Smoking during pregnancy is not only hazardous to the woman herself. And that’s because she is also exposing her unborn child to the harmful effects of smoking. It is also during pregnancy period that smoking is even more harmful to a woman. And there are quite a number of unborn babies that exhibit birth defects apparent during delivery due to smoking. In a certain study conducted to animals, Chantix is known to affect a woman’s unborn child as well. A certain dosage of Chantix was given to expecting rabbits. As a result, their young were delivered with reduced bone mass and lower birth weight. While this experiment is never conducted on human beings, medical experts believe that it would produce the same results nonetheless. Therefore, women are advised from taking the drug if and when they are pregnant or are breastfeeding. If they think that they have to take the drug despite their physical condition, it is important that they ask their doctors about it first. Generally speaking, Chantix-Champix is supposed to be taken by a pregnant mother if and only if the health effects of the drug are far more essential than the harms it may cause the fetus. While Chantix is a very effective drug used to curb the habit of smoking, pregnant mothers are advised against using it. Instead of taking Chantix to help them forget about smoking during their pregnancy stage, it is best that they try other anti-smoking therapies. However, these therapies should be 100% risk-free for the mother and the unborn child. Examples of such anti-smoking programs are yoga and meditation techniques. 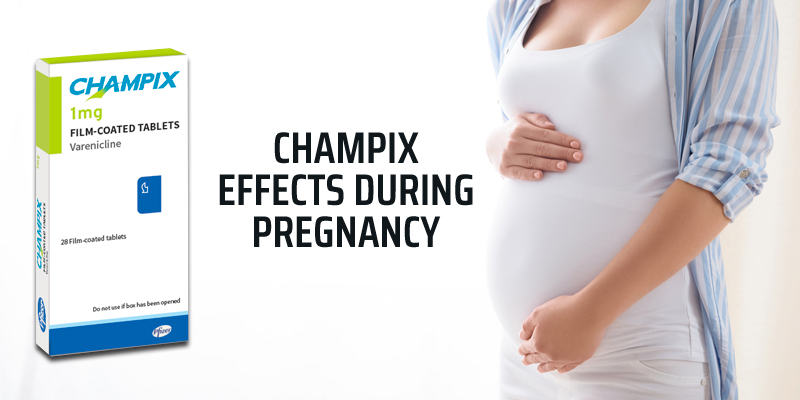 Chantix can be taken before and after pregnancy. The use of Chantix only involves a 12-week program and it is easily completed. If you became pregnant in the middle of your Chantix therapy, it is a must that you talk to your doctor about it. He can recommend that you stop the drug outright or slowly decrease its dosage until you are not to take it any longer. Chantix can be used after pregnancy provided that you don’t breastfeed your baby. Determine if you are ready to resume taking Champix again through your doctor. You can’t breastfeed and take Chantix at the same time because it has been discovered that some of the potent ingredients of Chantix can be transferred to the baby through breast milk.